Health & Safety in Construction. The FÁS Safe Pass Health and Safety Awareness Training Programme is to ensure that, over the course of time, all workers in construction will have a basic knowledge of health and safety, and be able to work on-site without being a risk to themselves or others who might be affected by their acts or omissions. From a health and safety perspective, construction workers are bound by law to hold a valid Safe Pass card. With this Background in mind the programme was developed in consultation with interested parties. The Aims of the programme are focused mainly around health and safety awareness, while the Benefits include an improved safety culture. 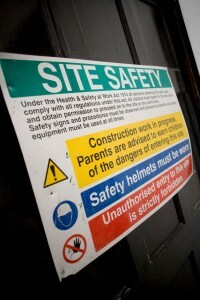 CMSE are a leading provider in Safe Pass courses. We run courses in Cork weekly and also in Dublin on a regular basis.